Site for the proposed City Deals stadium in Townsville, Queensland. The Australian federal government has promised much with its flagship Smart Cities Plan, but detail on how it will deliver on these promises remains scarce. To succeed in the 21st century economy our cities need to be productive and accessible, but they also need to be liveable with a clear focus on serving their citizens. The plan goes on to say, again very sensibly, that for cities to succeed in this way there needs to be a commitment to collaborate between all three levels of government as well as with the private and community sectors. This commitment to collaborative government is at the heart of the City Deals approach, which found its way to Australia from the UK, where it was launched in 2011 as a new approach to urban growth promotion and metropolitan scale planning by the coalition government of David Cameron. The original UK version of City Deals was used initially to encourage the formation of coalitions of local authorities that could prepare plausible local strategies for building the infrastructure needed to stimulate greater local economic growth than would otherwise happen. We are still waiting for the detail of the first set of Australian City Deals. Over the next five years, the original concept was extended to include more cities and metropolitan regions, a broader agenda of local governance reform and cover a wider range of local public services such as health. A report by the UK Comptroller and Auditor General in 2015 on this first wave of city deals found some evidence of success, especially in creating better links between central and local government but some areas of difficulty, including the capacity of increasingly cash-strapped local authorities to provide the investment and appraisal capacity needed to make these deals work in practice. Most tellingly, the report concludes that it was difficult and perhaps too early to be able to say with any authority what was working well and what needed changing. What do we know of the three pioneering Australian City Deals? Not too much yet, other than that the three levels of government in each area will be working together and with the business and community sectors to deliver stronger economic growth on the back of significant local investment by the federal government. In Townsville, this will see a new stadium at the heart of an ambitious Waterfront Priority Development Area, in Launceston the University of Tasmania will be helped to relocate and expand its campus, while in Western Sydney things are less clear, although the airport at Badgerys Creek is seen as the catalyst for an emerging cluster of logistics and advanced manufacturing activities. Each of these clearly represents an exciting opportunity to stimulate local economic growth and catalyse related social developments. But how are these different to previous major development projects supported through federal investment? Unfortunately, the announcements to date have been short on detail about how the City Deals scheme as a whole will operate. No guidelines appear to have been published that say who is eligible to propose a deal and how any proposals will be evaluated. We have had some more specific announcements though. …we want to make sure we capitalise on the city’s advantages in a way we haven’t before. 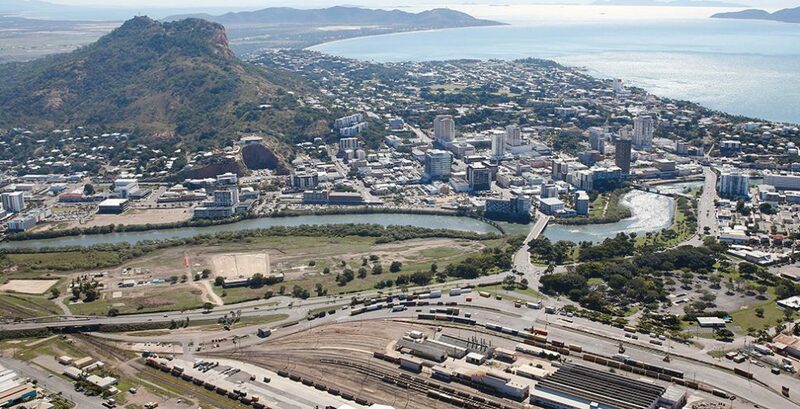 ..the key considerations for Townsville at this point are identifying the challenges and determining agreed outcomes, and then structuring the scope of the deal around them. A new stadium for Townsville hardly represents a major innovation in urban policy. Until we see some detail on the ways in which Launceston will capitalise on the city’s advantages we might be forgiven for wondering what all the fuss is about. And until we learn more of what the specific challenges facing Townsville are and what the agreed outcomes might look like, then it is hard not to conclude that a new stadium for the city hardly represents a major innovation in urban policy. City Deals promise much and if they do in fact stimulate new and more productive relations between all three levels of government in the planning of our cities, then those of us who live and work in those cities may come to enjoy new work opportunities and a more pleasant urban environment. But if they miss that opportunity, then long term urban policy watchers will put them on the unfortunately large pile of urban policy initiatives that ran out of political steam before they had the chance to demonstrate their potential. Alongside some policy stability, we also need a robust framework for monitoring and evaluating these pioneer City Deals, otherwise how will future deals learn from their experience and how will the federal government know whether or not to roll out or kill off the experiment? Paul Burton is Professor of Urban Management and Planning and Director of the Cities Research Institute at Griffith University.